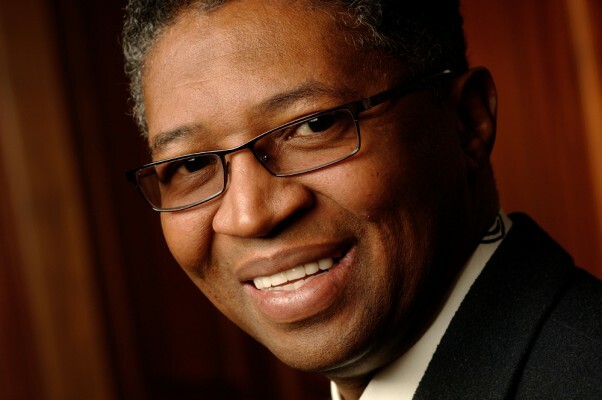 Universities have an important role to play in ensuring Africa’s rapid economic progress results in sustained human development, according to Stellenbosch University (SU) rector and vice chancellor, Professor Russel Botman. Botman delivered a public lecture at ETH Zurich (the Swiss Federal Institute of Technology) on “The role of universities in the development of Africa”. He pointed out that Africa is one of the fastest growing regions in the world, with a youthful population that is rapidly urbanising and moving into the middle class. There is still an overreliance on the export of primary resources, but the good news is that only one-third of Africa’s growth the last decade came from resources, with the biggest contributions coming from agriculture, manufacturing, construction and services. Higher education on the continent faces serious challenges, though. “Africa’s research output – as measured in share of accredited journal publications – shows a decrease from 1% in the mid-1980s to 0.7% a decade later. This problem is multifaceted and resists simple solutions, but includes the fact that access to higher education remains painfully low. Yet, lecture rooms are overcrowded and academics spend most of their time teaching. At the same time, salaries are low, and the lure of better opportunities in more advanced nations has led to a ‘brain drain’ out of Africa,” Botman said. Some of these challenges can be traced back to the fact that there was a push in the second half of the 20th century for developing countries to place more emphasis on primary and secondary education. “The World Bank decided that development efforts in Africa should be refocused on primary education, which resulted in a dramatic decrease of 82% in per capita public spending on higher education between 1980 and the first decade of the 21st century. This had a debilitating effect on the continent’s universities and also delinked them from development. Botman said the development of “sustainable and long-term academic networks” is crucial to strengthen higher education in Africa. He mentioned the Square Kilometre Array (SKA) Radio Telescope – two-thirds of which will be built in South Africa and its eight African partner countries – as an example of a “knowledge coalition” that could help slow the African brain drain. SU hosts a SKA research chair in its Department of Electrical and Electronic Engineering. And a team of full-time academic staff members as well as postgraduate students and post-doctoral researchers are involved in SKA-related activities. Another example of a knowledge coalition on the continent mentioned by Botman is the Partnership for Africa’s Next Generation of Academics (PANGeA). It consists of the universities of Botswana, Dar es Salaam, Ghana, Makerere, Malawi, Nairobi and Stellenbosch – with further expansion in the pipeline. Since 2010, SU’s PANGeA-linked Graduate School has registered 88 PhD candidates from 14 African countries, and in December and March the first 19 PhD recipients from this programme were capped. Botman highlighted environmental sustainability as an issue that is high on Africa’s research agenda. In 2007, the Stern Report made clear that poorer countries, especially in Africa, will suffer “first and foremost” from the consequences of global warming, even though they have “contributed least” to it. Botman said climate change can be a catalyst for change if Africa is prepared to build rapidly growing green economies instead of getting caught up in stages of industrial development that have been particularly destructive and resource-intensive in the developed economies. Work done by the Solar Thermal Energy Research Group (STERG) within SU’s Centre for Renewable and Sustainable Energy Studies of SU’s Faculty of Engineering can play a role in this regard. STERG is focusing on Concentrating Solar Power, specifically the development of heliostats – mirrors that track the sun so that its heat can be used by solar thermal power stations. 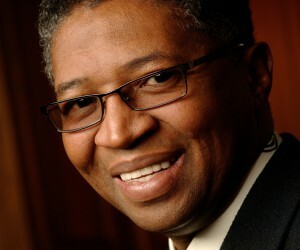 Botman said food security was also a challenge that could benefit from high-level research. In South Africa, one out of two households (51.6 %) experiences hunger, one out of three is at risk of hunger, and only one out of five seems to be food-secure. He drew attention to housing as sustainability challenge. No less than 62% of all urban dwellers in sub-Saharan Africa live in slums. South African policy regarding human settlements is shifting from a once-off housing intervention to an incremental approach of in situ infrastructure upgrading. But people wait a long time for housing to be constructed. Botman pointed out that in a recent McKinsey survey, it was found that 84% of Africans were optimistic about the future. An Ernst & Young survey showed that 86% of multinationals already doing business in Africa were optimistic about the continent’s growth prospects.